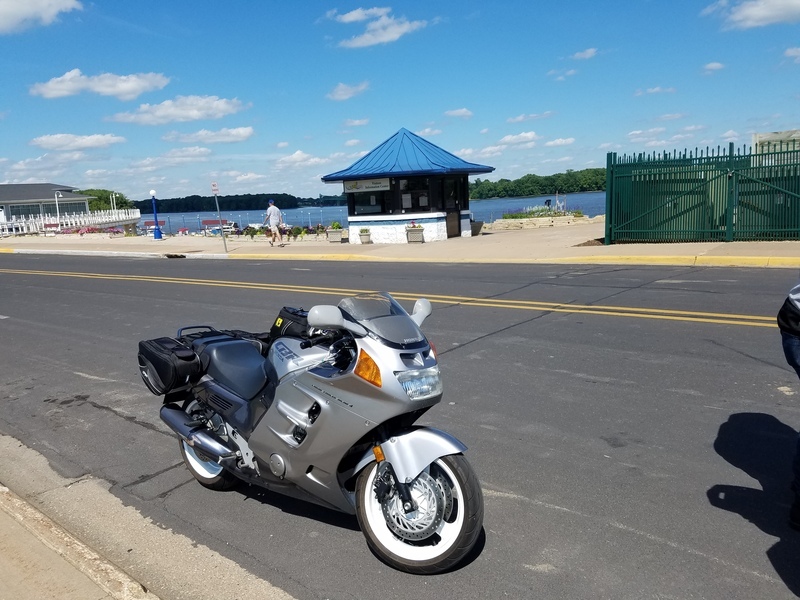 I took her on her first REAL road trip today, from the Chicago area to Clinton, Iowa right on the other side of the Mississippi River. 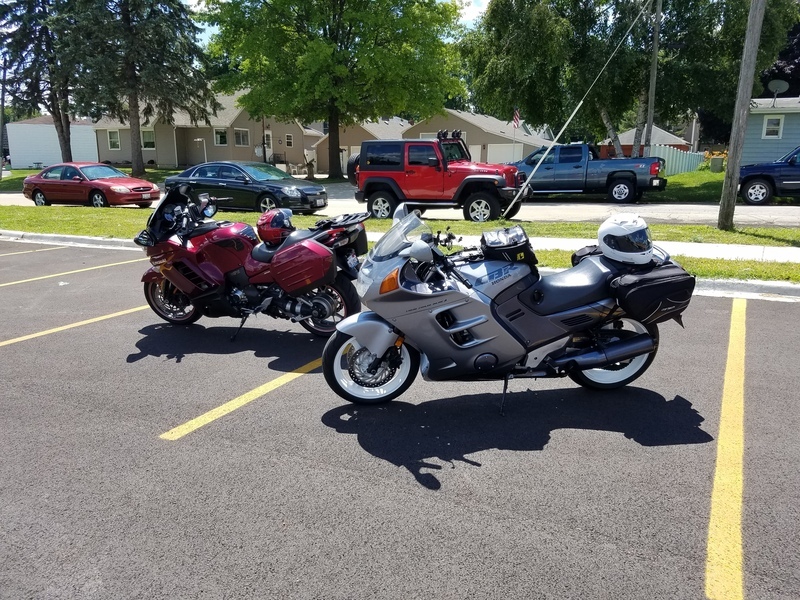 The bike did awesome, and surprised my new riding friend on his Kawasaki Concours. On the way home on I88, we cruised at 90 for quite a while......this bike really IS a train......never shaken by the wind even a little bit. I love it. Did just under 300 miles today. I was only talking with my eldest son today that he should start researching on doing a holiday over to the states. 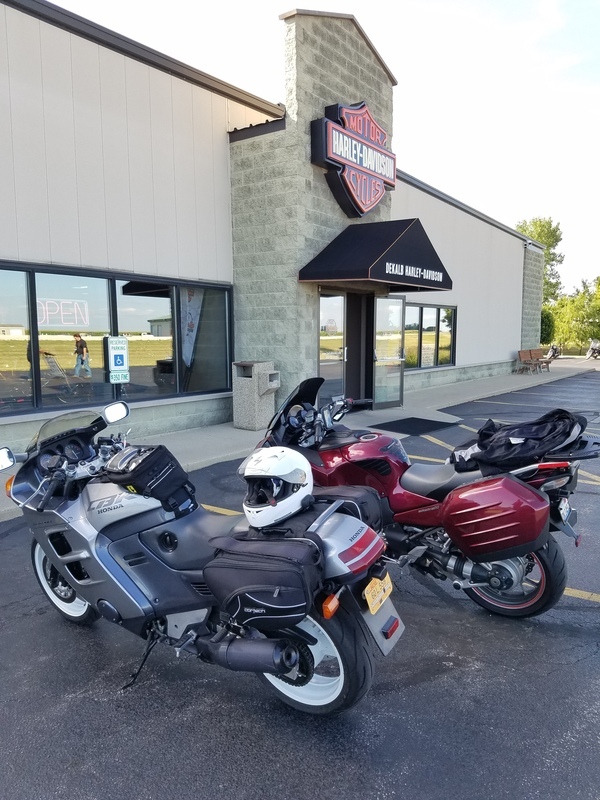 We go over every couple of years as a family but I said to him that he should fly into L.A., buy an old classic of a bike and do a monumental ride around the west coast then middle and onto the east coast. Do it while he is young and really enjoy what riding around and exploring can really offer. 300 mi day is noting for this bike. A few years ago I did a 625 mi day. When I got home I walked around the house looking for something to do and decided to go for a ride. I ended up putting something like 90 more miles on that day. I'll tell you....don't discount the option of riding around the Smoky Mountains in North Carolina / Tennessee either. Some GREAT roads down there. You have the Tail of the Dragon in Deals Gap, the Cherohala Skyway, a good stretch of the Blue Ridge Parkway, and almost all the roads around there are hilly and twisty. It's difficult to go wrong there. Beautiful area. That's what the CBR1000F is, a locomotive, a Gentleman's express, a great way to get from Point A to Point B is comfort and style with power to spare. Yesterday my eldest boy and I had a free afternoon so it was an exploratory ride north on the New England Highway until we found what looked like a reasonable toad west, some 6 hours later we had found our way through some of the best countryside riding we had done for ages. Definitely wasn't a fast road but mate it hit the 10 points for enjoyment. 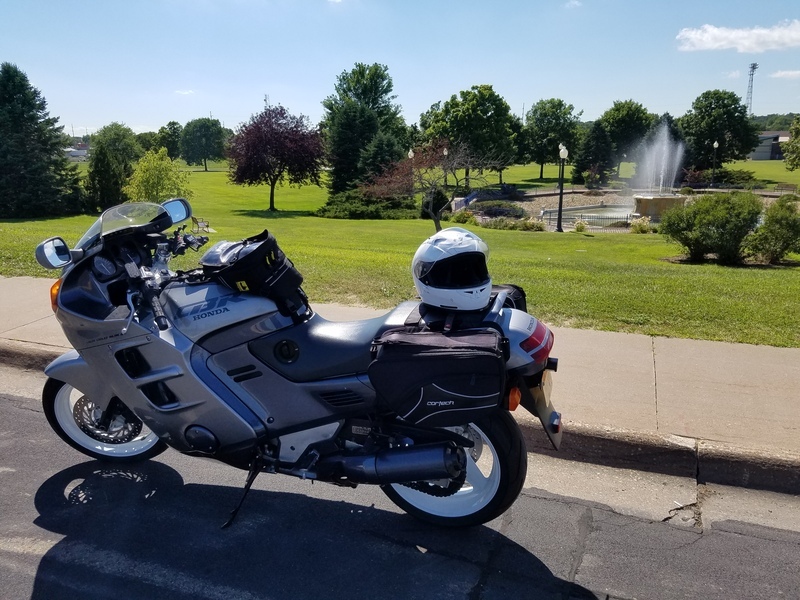 We have done quite a lot of driving around the states as its always been a family holiday and our youngest wasn't old enough to do anything other than passenger in a comfortable vehicle but it sure would be a treat to do some riding around the states. We are talking about coming over at Christmas time for another holiday but also hunt down some parts for some old bikes and bring back. Where do you stay in the US when you come out here? It's Quite strange replying to you as Webbie as I quite often by close mates have the same nick name. My surname is the same but without the ie1. Predominantly we always start and finish our holidays at the Marriott Residence Inn at Anaheim basically because it's handy to Lax. From there last trip over we were suppose to head to Michigan meet up with our adopted daughter as we call her and then head over to the east coast and do some travelling but the weather was really bad with massive storms and record snow storms. That was Christmas 2014/ 2015. We spent 4 weeks but really ended up being confined to the western states as the weather everywhere just wasn't great. Our next trip we had been considering getting an RV and we had been doing a really well planned excercise on a program called road trippers that will see us again fly into lax then make our way upto Canada then across to Niagara Falls up into the Gloucester area then back down the east coast to Florida then I think it will be probably hit places like elvis's grace lands , I know the wife wants to go to Nashville as she is very much a country music fan and has actually recorded one of her own songs on cd and its out there on like iTunes and other download sites. Ideally keeping an eye out for a couple of bikes that we are interested in and whatever parts we can easily find. It's definitely a family holiday but going to keep an eye out for a few things we have been chasing and arrange freight to send them home. My eldest boy was interested in a t shirt from the motorcycle superstore and postage was like $90 American which really puts most things in the to hard basket. Last time over we spent a great morning at the Oakley head office store as well as a massive bass pro store just outside LA as we are also into our fishing and boating and love game fishing. We have a pretty serious offshore boat that really does the job.